"Midnight is just the beginning." This version of Cinderella reportedly will be released in March, 2015. It recounts the lovely romantic fairy tale, with a few unusual elements that do not change the story, but add a slightly different perspective. 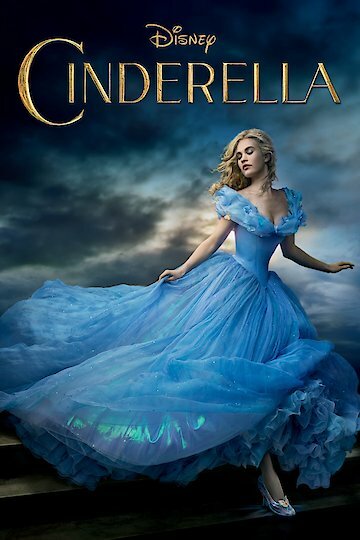 Cinderella introduces a beautiful young woman who resides with a cruel, uncaring stepmother and two spoiled step sisters, harpies who simultaneously envy her and mistreat her. She dreams of escaping from her limited world. Then, one day, she meets the man of dreams. The plot unfolds from there to relay an exciting story. The cast includes Lily James, Richard Madden, Helen Bonham Carter and Sophie McShera. Cinderella is currently available to watch and stream, buy on demand at Amazon, Vudu, Google Play, iTunes, YouTube VOD online.